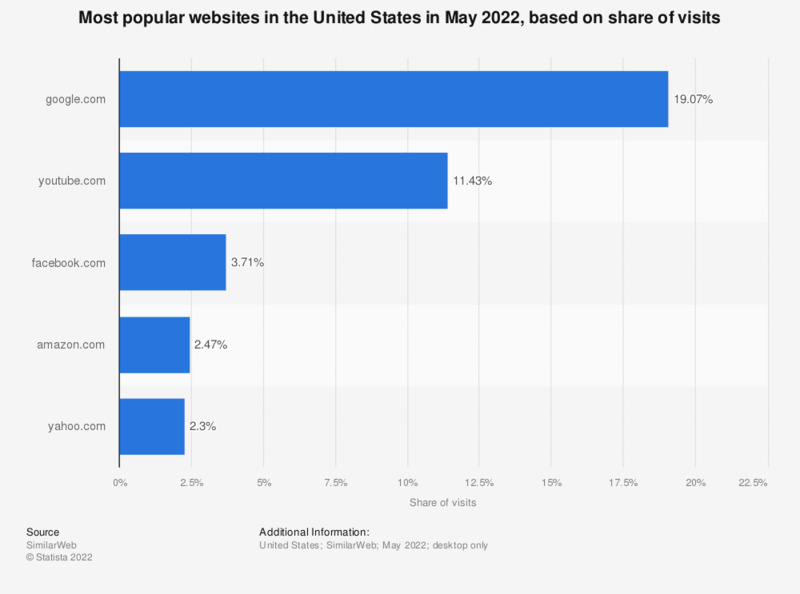 The statistic shows the market share of the top ten websites across all categories in the United States in February 2016, based on share of visits. In the measured period, Youtube was ranked third with 2.94 percent of all U.S. site visits. Parent company Google was ranked first with 16.38 percent of all website visits in the United States.